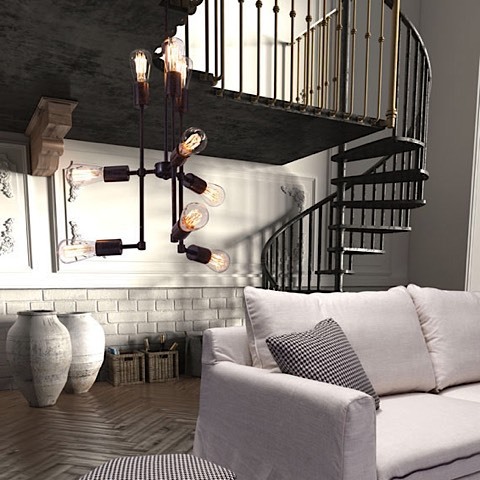 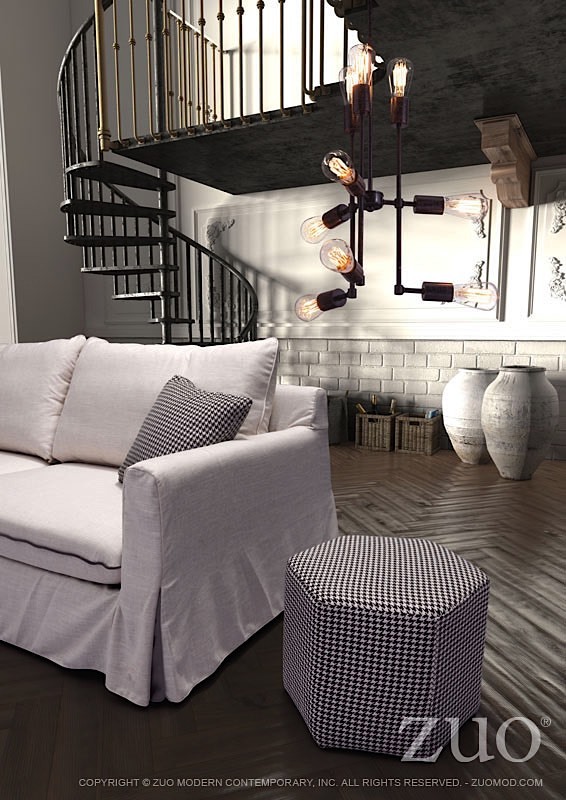 The Timaru Ceiling Lamp hangs from a slim, rust-colored rod that connects to three (3) unique separate arms. 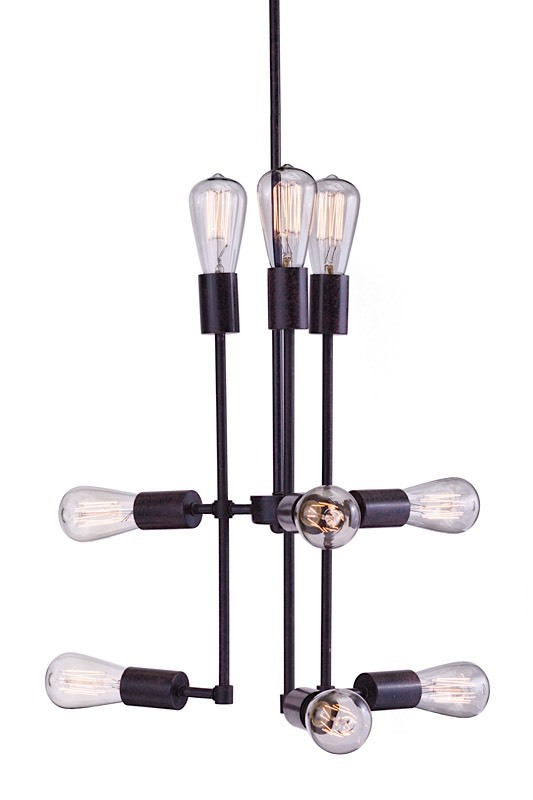 Each arm extends out and up with 3 Edison style bulbs finished in antique rust. 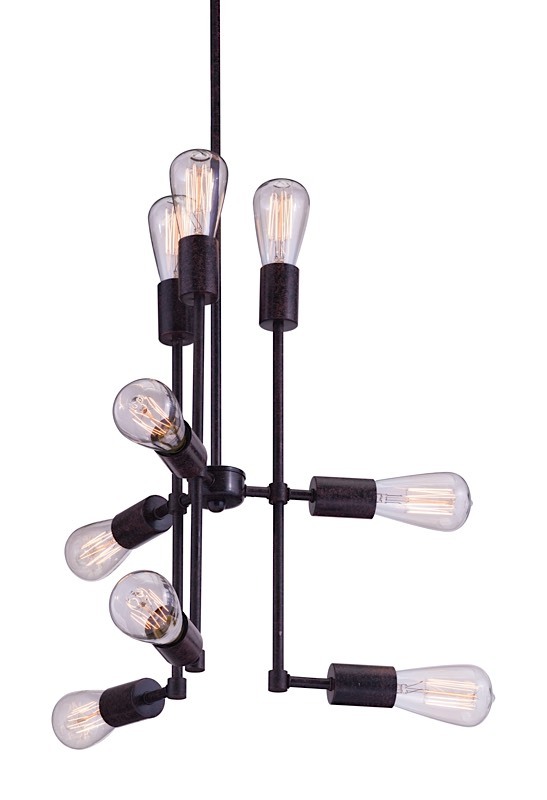 Simple elegance can be hung in single applications or in groups over tables large and small. 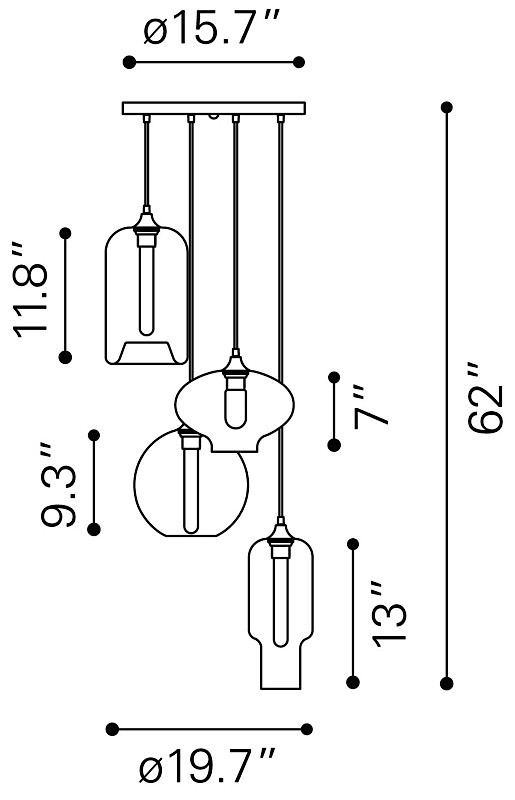 Each lamp requires nine (9) 25 watt max Type S E26 bulbs which are included.